How Much Will a Landscape Designer Cost? Landscape design is a category of work around a home that is commonly taken on by the homeowner with a level of zeal and enthusiasm unmatched in most other home upkeep and design efforts. Something about getting your hands dirty, working with the soil and choosing plants and flowers has a strong appeal. Despite the apparent joy that goes along with taking on the role of a landscape designer in your own yard, there are serious benefits to be enjoyed by those who employ the services of a professional. But, it's important to remember that a landscape designer and a landscape architect are not the same thing. The primary distinction between landscape architects and landscape designers is that designers usually work on smaller residential projects. Professional Landscape Designer vs DIY - Why Should I Hire? 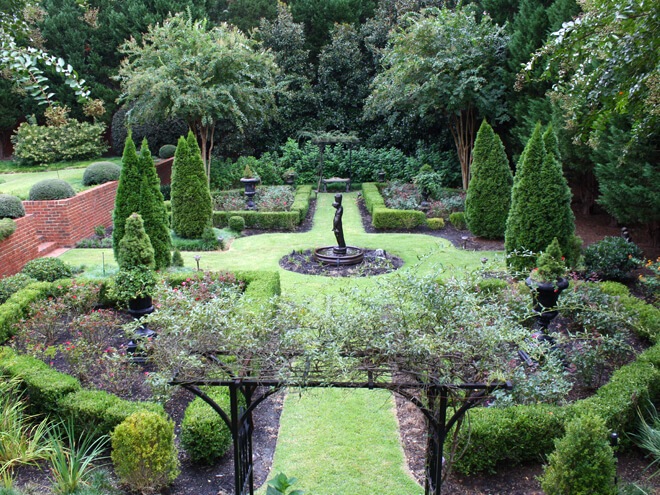 In short, a landscape designer can get the job done faster, and often on a smaller budget. Just because a professional designer will charge for labor, don't forget they have an efficiency of scale that comes with owning the best tools and having the experience to execute the plan right the first time. A professional landscape designer is aware of more possibilities and can offer a more economical solution. Reshaping the contour of your land can impact your home massively. If you start adding landscaping stones, fill dirt and other elements like wooden flower boxes, you run the risk of re-routing the natural water flow on your land. This can inadvertently redirect water towards your home, potentially causing flooding and the risk of foundation damage. A professional landscape designer will know how to avoid these problematic outcomes. They will also be able to, for example, transform your landscape into an area that has no need for supplemental water from irrigation by employing a method known as xeriscaping. Employ this method and you could be using 75% less water overall. It's often humbling to admit that someone else can do a better job than you. Instead of hoping for the best result on your curb appeal, why not hire a professional landscape designer and work alongside them to add your input and convey your vision wherever possible. How Much Will It Cost To Hire a Landscape Designer? Materials alone will increase the cost for a small landscape job and when you decide to go all-out with a very elaborate design, costs will increase dramatically. Naturally, the size of the project and the location will also affect the overall cost. Landscape designers typically charge either by the hour or even a percentage. You can expect to spend anywhere between $50 - $75 per hour, or between 10 - 15% of the total cost of the project. However, the cost to hire a landscape designer generally comes in anywhere between $2,600, for more modest designs, while averaging out at about $4,100 nationally. For larger, more intensive projects ( and with several other variables at play ), on the high end, you should be budgeting for a bill of anywhere in the region of $6,000 - $11,400. It's also possible to get one to two hours of on-site verbal consultation for $50 - $100 an hour. Once you meet with a contractor, you'll have the opportunity to discuss options, and much like how you would outfit the interior of your home, you'll be able to make choices which can affect the overall costs. The only way to know for sure what you will be paying is by getting in touch with a landscape designer in your area to discuss your options. Keep in mind that professional landscape designers usually aren't cheap, and if they are, you should raise an eyebrow. Several contractors may be willing to quote you, but it won't necessarily mean that they have the expertize to create your vision. Compare quotes from multiple landscapers, then check their references, and try to view any previous projects they may have been involved in. Professional landscape designers are in your area and eager to answer any questions you may have. We offer you no obligation, 100% FREE estimates on the cost to hire a landscape designer in your area at absolutely no extra cost to you. To get in touch with a local professional for a 100% FREE estimate, just enter your zip code into the space provided on this page and a registered landscape designer will reach out to you. Don't assume that you can't afford a professional. The final cost might be more affordable and attainable than you ever imagined. It's a great way to see what's possible given your budget, so feel free to enter your details now to get a FREE estimate on the cost to hire a landscape designer near you. Get Precise Quotes From Contractors In Your Area Today! Compare Competing Quotes To Get The BEST PRICE! Your particular landscape designer costs will depend on several variables. Get in touch with local professionals for a more accurate estimate of what you will be paying. Name: This will be the name displayed on your post.